Wayne is the Head of Customer and Colleague Services at Dunelm, a home furnishing chain located across the UK. The business has been built around strong relationships - with its customers, its suppliers and its more than 9,000 employees. 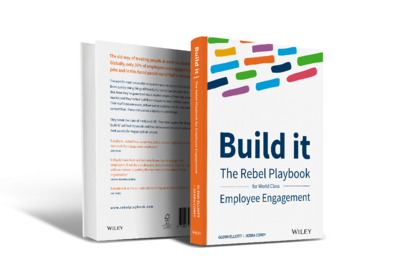 Wayne’s play is in the book, Chapter 6 - Management, and is titled “‘Always On’ approach to employee feedback”. This play answers the question Dunelm had of “if we survey our customers constantly, why are we surveying our employees only annually?”, putting in place their “always on” employee survey. After Wayne attended a conference and was inspired by a talk about treating employees like customers, he decided that Dunelm needed to change the way they listened to their colleagues. The result was Dunelm's new “always on” survey, which is integrated with their three-part “Keep Listening and Looking” program for collecting employee feedback. Debra Corey visited Wayne at Dunelm's head office near Leicester, England to learn more and find out what effect the new approach has had on employee engagement so far.